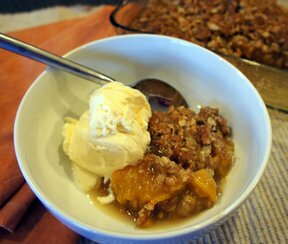 This cobbler is made with a sweet, fresh peach bottom topped with a biscuit-type topping. 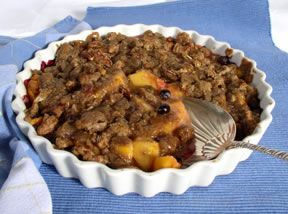 The texture of the crisp biscut topping mixes well with the sweet peach flavor of the fruit bottom. Preheat the oven to 400°F. 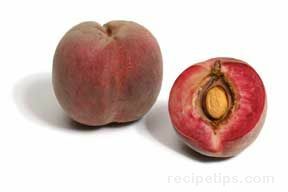 Remove the skins and pit from the peaches and cut into slices. 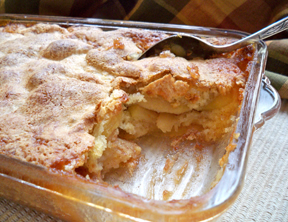 In a saucepan large enough to hold all the peaches, combine the 3/4 c. of sugar, cornstarch, and cinnamon. 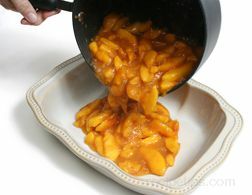 Add the peaches and lemon juice and then stir the entire mixture until the peaches are evenly coated. 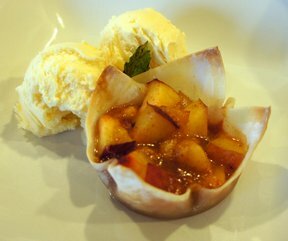 Cook the peaches over medium heat, stirring continually. Cook until the mixture boils and then continue to boil for 1 minute. 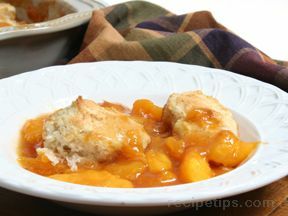 Pour the peaches into a 9" square or 8" x 10" rectangle baking dish. 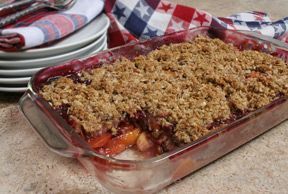 Keep the peaches hot by placing in the oven until the topping is ready. 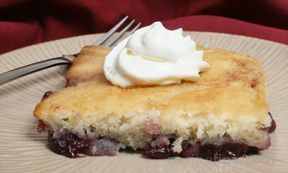 Mix the topping by combining the flour, 1 1/2 tbsp. 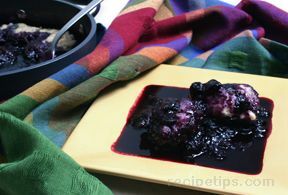 sugar, baking powder, and salt in a bowl and stir thoroughly with a fork. 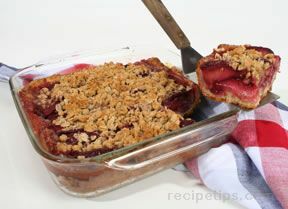 Cut the shortening until the mixture is in fine crumbs. 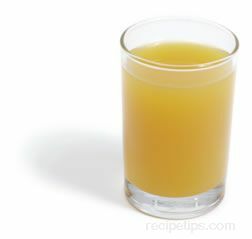 Pour in the milk and stir until all the ingredients are evenly mixed. 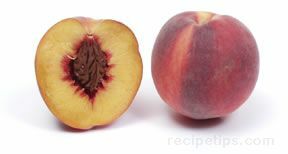 Add the topping to the hot peaches by dropping spoonfuls evenly over them. 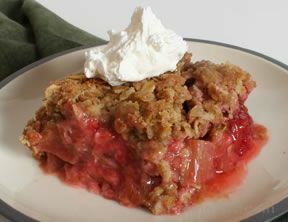 There should be enough topping for 8 to 10 large spoonfuls. 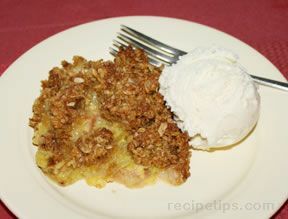 Place the cobbler back in the oven and bake for 25 to 30 minutes or until the topping is golden brown. 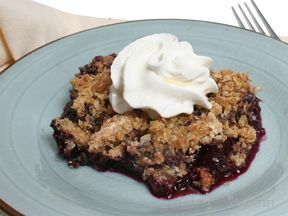 When the cobbler is done, serve it warm. It can be eaten on its own or served with ice cream.